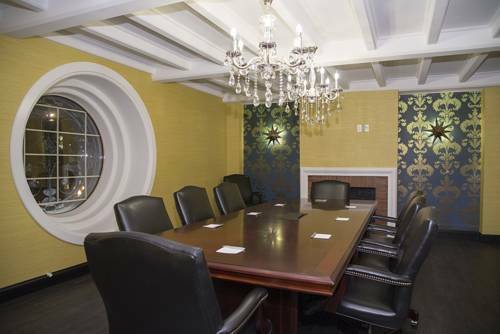 At the Renaissance Albany, you will be nestled in the heart of the Capital of New York state, in the historic DeWitt Clinton Hotel, and at the base of the Capital Steps. The Hotel combines old world charm with handsome dark wood paneling and stunning marble floors, with modern touches of convenience and flare. Within brisk walking distance to the Empire State Plaza, the NYS Legislative Office Building and the strong and beautiful Hudson River, the Renaissance Albany will also be attached to the future Albany Capital Center. Wellington's Restaurant will offer much to savor and discover with it's small plate, high end American Fare, engaging staff and mixology inspired beverage offerings. Guest rooms in this stunning hotel offer a serene and calming color palette, with unexpected moments of 'wow', created by various light features. The views of Albany are unparalleled, through the over-large windows and they welcome a pleasing amount of natural light into your room.